I know a lot of people think this was written as a reaction to Bush but now I can't read it as anyone but Trump and I KNOW that wasn't intentional. Ironically businessman-Lex was partially inspired by Trump (an early image mirrored 'The Art of the Deal') but an 80s image of him as more competent and ruthelss, not what we later learned, and Lex moved away from that with time as well. 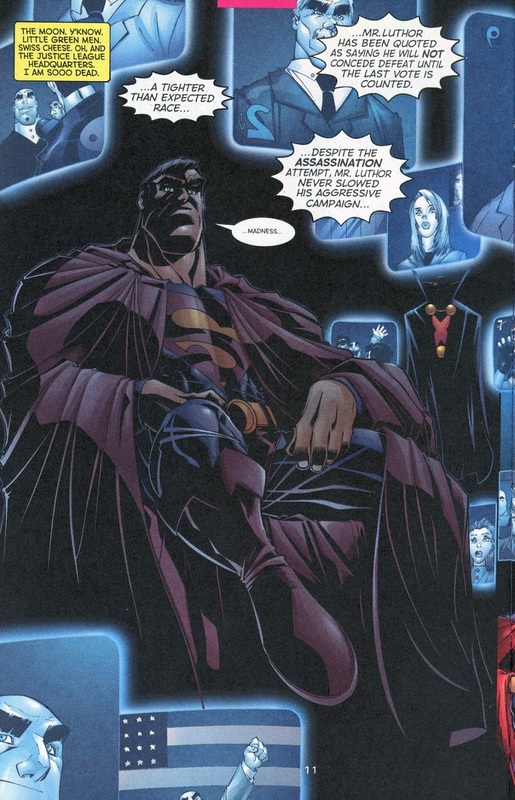 Lex Luthor is just such a better president. So what was Jimmy's deal that he got shushed about? 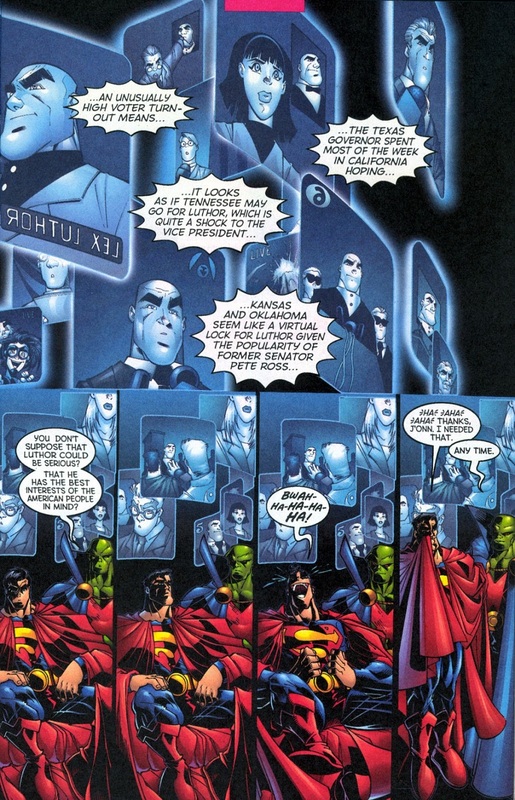 Superman: People will make the right choices, even though they have no way of knowing Lex is really a supervillain, because no hero is willing to say as much in public, even myself. 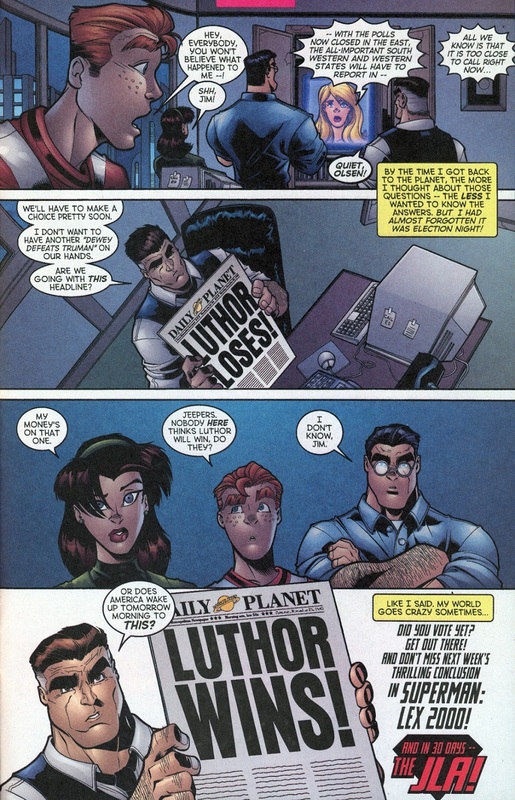 One thing that always bugged me about this story is the "LUTHOR LOSES" headline Perry holds up. News organizations never do that - they focus on who did win. It just highlights the artificiality of drama here that they never bothered giving Luthor an opponent. 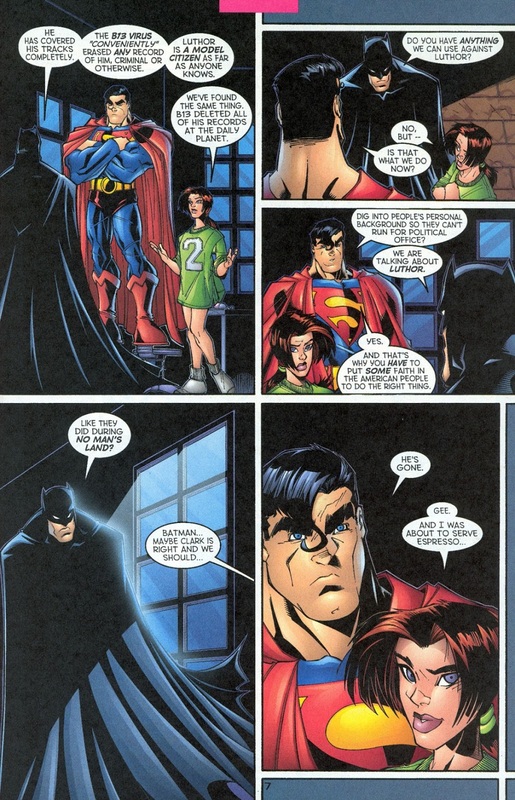 Also, that font size is so huge that the bottom's going to be cut off when it's folded in half, and Lois looks like a 12-year-old, but those are different issues. 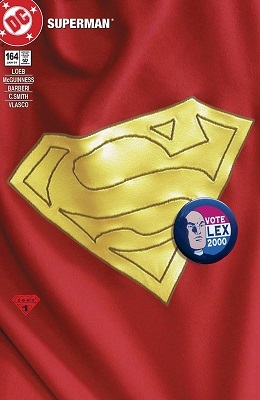 Who was Luthor running against anyways? I think they said he was a third-party candidate, so... both Bush AND Gore? Not sure about the US (because I don't live there) but, here in Australia, newspapers don't and haven't worried about the fold for a long, long time, the belief, rightly or wrongly, is that readers absorb the front page and all it's elements as a whole, thanks to the way they've been "taught" to do so by cable TV and magazine covers. News stands here also sell papers flat, not folded, and most home deliveries are now flat as well. Weird, I thought newspapers did do that with at least major headlines that could go either way. Like elections. Or maybe they used to. I don't work in the industry, so I honestly don't know either way. It's quite common to write stories like this in advance. Headlines always focus on who won, though. 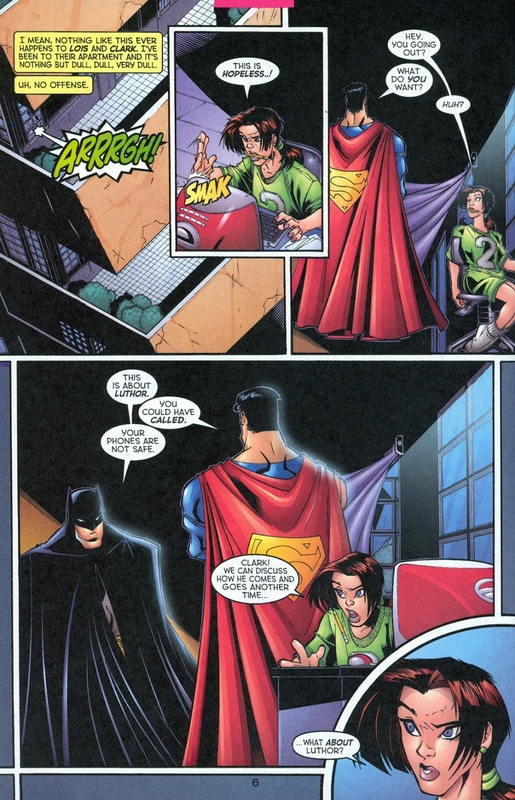 This is a very different take on Superman's reaction to Candidate Luther than in Justice League Unlimited. Lex claimed that was an evil clone.